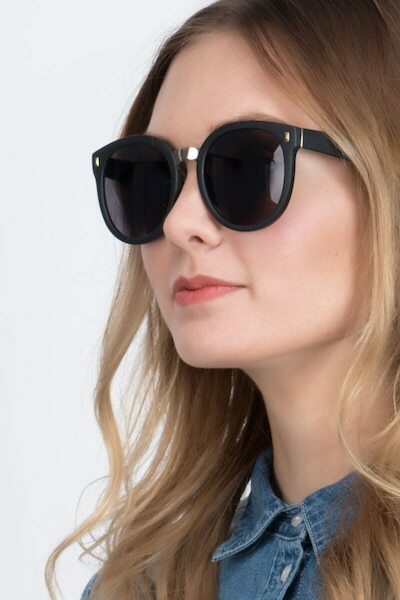 Every side will look like your best side with Vedette. 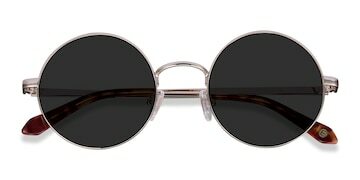 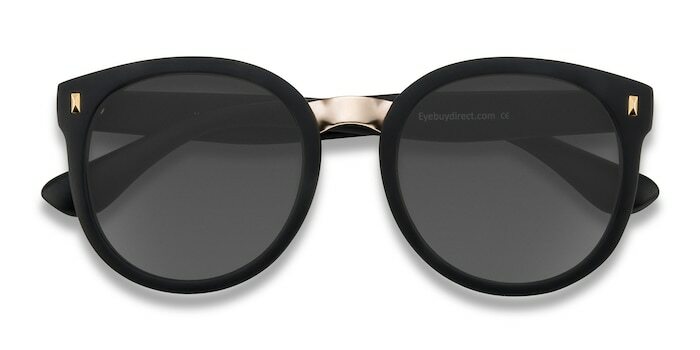 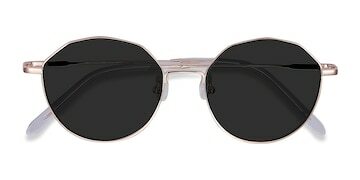 These matte black sunglasses are the perfect throwback to that iconic 60s starlet look. 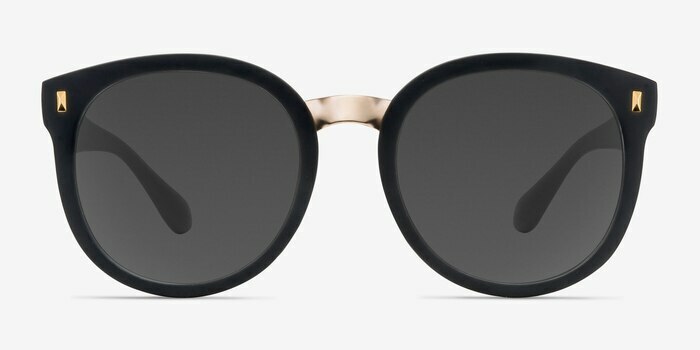 A polished silver colored nose bridge spans between two oversized round lenses. 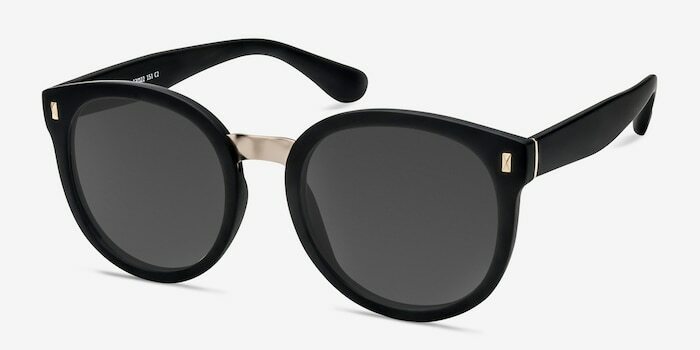 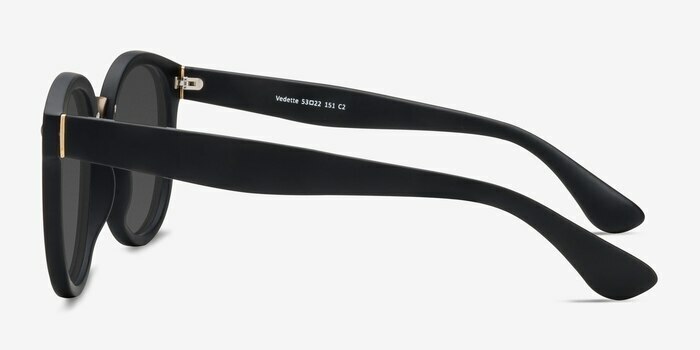 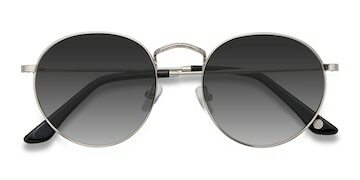 Chunky temples and light gold details complete the look of this famous frame.